Brynna Sherony is so enthusiastic about her senior year at California University of Pennsylvania that she almost wishes she was beginning college again. 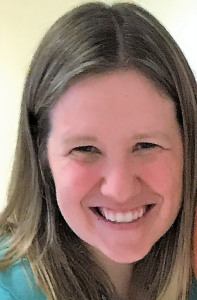 One source of her excitement is Meghan Larsen-Reidy, the new director of campus ministry at Cal U, Washington & Jefferson College and Waynesburg University. Supporting the efforts of three chaplains, start-up funding for the campus ministry program is provided through sacrificial gifts to Our Campaign for The Church Alive! from donors across the diocese. The college years are critical to keeping younger Catholics connected to the church. A study from the Pew Research Center found that nearly 80 percent of those who leave the faith do so by age 23. Father Adam Potter, co-chaplain at Washington & Jefferson College, agrees that young adulthood is a key time of formation. At Cal U and Waynesburg, Larsen-Reidy works with Capuchin Father Al Carver in coordinating Masses, service projects and Festivals of Praise. Dividing her time between three colleges is a challenge that she welcomes. “Our culture tells us that being faith-filled isn’t cool, and a lot of people think of Catholicism as being strict in following rules,” said Marybeth Cocchi, a junior from Mt. Lebanon who is studying nursing at Waynesburg University. “But it’s really about relationship and intimacy with Christ. After graduation, Sherony wants to find a parish where other young adults are excited about their faith. “We need opportunities to get involved and to be welcomed,” she said.